Well, for the rest of people, Nov 8th would be just an another Sunday, hanging out with friends, and do stuff but for us, Myanmar citizens who are going to vote, it’s not just an another day. As you may or may not know, this 2015 election is a historic election as this election is the second time after the first “free and fair election” election which was in 1990. Spoiler alert. Meh .. It wasn’t that much free and fair. I wasn’t even born yet. But you know, things happened. You can read about elections in Myanmar here and also you can know more about our country’s situation by google-ing. What I’m gonna write is, I’m gonna write down what I do today before and after I vote. 1:42 AM — I decided to stay awake and wrote above stuff. 1:50 AM — Still awake but battling to sleep or not. 2:00 AM — Still awake. Got angry because I saw some retards’ posts saying they are voting for dictatorship party on Facebook. Maybe I should kill time watching How I met Your Mother. Yeah! 2:10 AM — Start from Season two, episode four. 3:10 AM — Still watching How I Met Your Mother. 3:51 AM — Mom wakes up because she needs to be at the ballot station as she is a party agent. 4:25 AM — Okay. Washed face, brushed teeth and about to go there. 4:42 AM — Now I’m queuing. Kekeke There’s only one in front of me. 5:00 AM — The lady in front of me asked me when I’m going to get married. Seriously? 5:32 AM — About 7 people are queuing. 5:41 AM — Over 20. 5:55 AM- ahhhhhhhhhhhhhhh. Exciting and nervous! 6:00 AM — Am going in now. The polling station was so crowded as the classrooms are being used as polling stations. But the rest is okay. I never thought that I would be that excited and nervous until 6 AM. I feel accomplished, happy and excited. 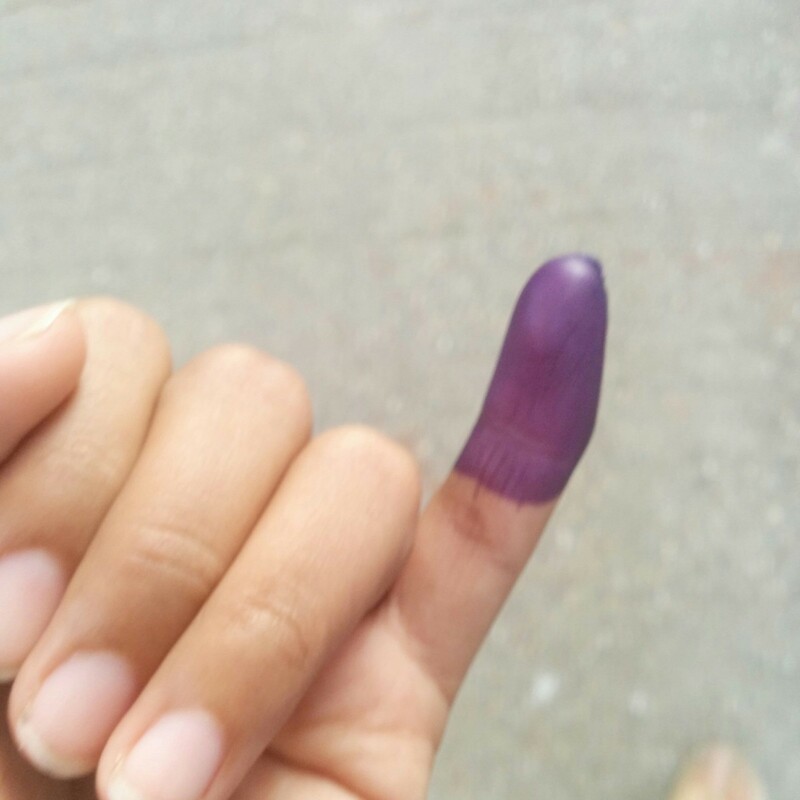 Well, I must say my first time voting experience is awesome.